“The British folk-rock musician has a reputation as one of the best guitarists of all time, but in Sydney he proved his skills as a songwriter shine equally bright,” said The Guardian following the guitar hero’s performance Down Under earlier his year. Thompson has been writing and performing since the 1960s, when he co-founded Fairport Convention, and has earned himself an Ivor Novello Award, a lifetime achievement award at the BBC Radio 2 Folk Awards and an OBE. Acoustic Classics, his 2014 collection of newly recorded songs, “serves as a fitting showcase for not only Thompson’s undeniable skills as a virtuoso guitarist, but also as a phenomenal songwriter capable of deftly tapping into a wealth of human emotions” (PopMatters). Please note this show has a ticket limit of 6 per person. Age restriction: Under 14s to be accompanied with an adult. Former member and co-founder of Fairport Convention Richard Thompson has been at the centre of British Folk Rock since the 60s. Since then he has been named one of the top 20 guitarists of all time by Rolling Stone, won numerous awards including an Ivor Novello Award and a lifetime achievement award from BBC Radio, and been bestowed with an OBE. Thompson’s back catalogue includes over 40 albums, many Grammy nominations, as well as numerous soundtracks. Thompson’s songs have been reinterpreted by such musical heavyweights as Robert Plant, Elvis Costello, REM, Del McCoury, Bonnie Raitt, Los Lobos, David Byrne, Don Henley and many others. @RthompsonMusic Superb night at Colston Hall last night. As long as you're performing, I'll keep coming :o) Sorry no cheering - sore throat! 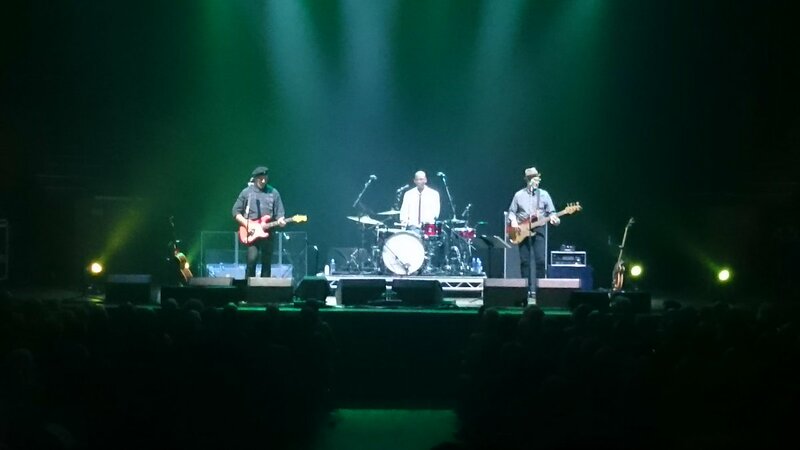 RT @LostChordof1963: Fantastic show from @RthompsonMusic @Colston_Hall last night...some great nepotism too from @TheRailsLondon. Fantastic show from @RthompsonMusic @Colston_Hall last night...some great nepotism too from @TheRailsLondon. Richard Thompson good value as ever at Colston Hall tonight. Looking forward to spending some cash at @risebristol ahead of our @TheRailsLondon Colston Hall gig with Richard Thompson tonight! @Colston_Hall Hi - do you have stage times for Richard Thompson tomorrow yet?